This weekend was such an emotional roller coaster, following my athletes racing Ironman South Africa. I will more time to recover fully than athletes to recover from their race. Carmen Grosse put the hammer down in PE. In 2016 she unfortunately had a really bad accident just the day before she was supposed to fly to the „Big Island“. She was not able to race. Big disappointment! The months afterwards were a stoney path back to health, self-confidence and building up a good fitness level. 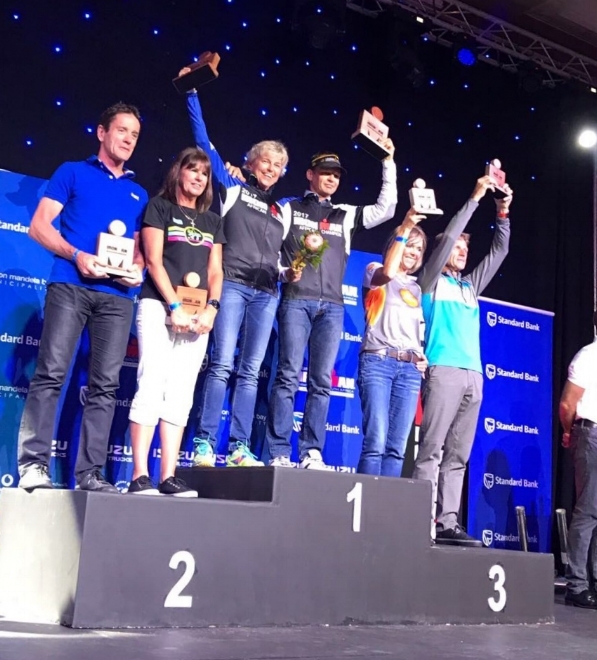 But Carmen executed all I told her with her unmatched determination and after spending one weekend with my squad on Mallorca, I was sure she is going to have a brilliant race in Port Elizabeth. Her pool times were really challenging my pro boys and girls. She proved this on the swim at IM South Africa. Carmen was 7th woman overall(!) out of the water, including all the professional ladies. Carmen hammered her new bike and finished all off witrh a fantastic marathon. It was a one woman show, winning her Age Group by a hughe margin of almost 2 hours(!! ), a time good enough to easily win the below Age Group as well. Even the moderators were surprised by Carmen's performance. Have a look at the little clip to see her beautiful smile and joy while running towards the finish line. One of my unluckiest athletes this weekend was Rico Giovanoli. Rico travelled to South Africa with the goal to win his Hawaii slot. 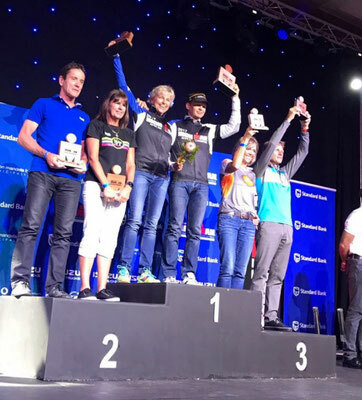 He had a fantastic race and proved impressively that you can train really well in the winter months without doing any big training camps before a very early season race. But with a 16th place in a very strong Age Group (35-39) he just missed his Kona slot by 2:30mins. To get a Kona slot always needs a bit of luck. However, I consider his race in South Africa as his break-through race: Rico now is on a level to win a slot at amlost any race without needing a lot of luck anymore. I’m sure we will see Rico joining the big dance on Hawaii very soon! Alicja Medak showed one of her best races ever. Good swim, solid bike, strong run (faster marathin than her husband, sorry for that, Rafal). Coming in 4th, she just missed the podium and one of the 3 slots in her AG. But there was allocated another slot to her AG plus there was a roll down slot. So her result would have been good for 2 slots altogehter. 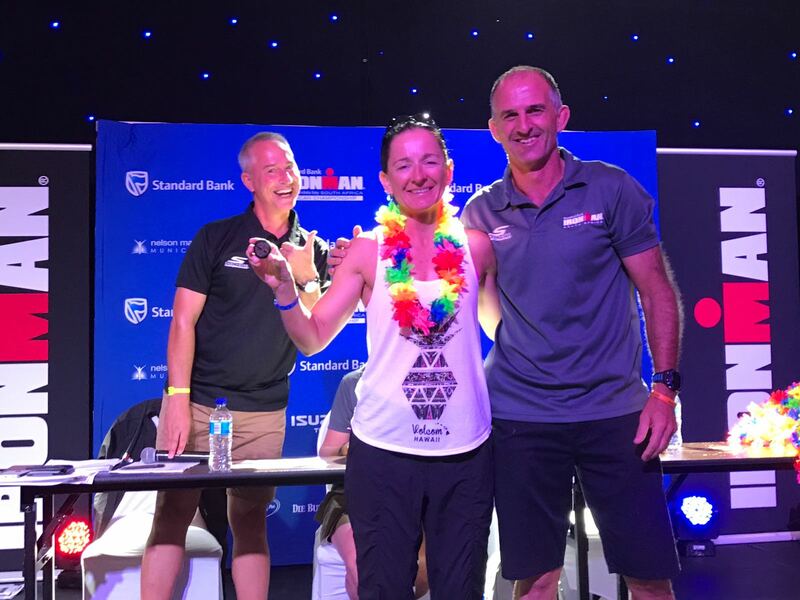 Of course, she took her’s and is my 2nd Kona qualifier made at IM South Africa. Steve Ringel wanted to get a Sub11 hours finishand missed that goal by just 30mins. While Steve has a very stressful job he was not able to do any training the week before his travel to South Africa which is indeed not a perfect preparation. He pulled out the best of the race on that day. In all 3 disciplines Steve had a solid performance. At the end he had an 11:29hrs finish but we work towards breaking the 11hrs barrier soon. 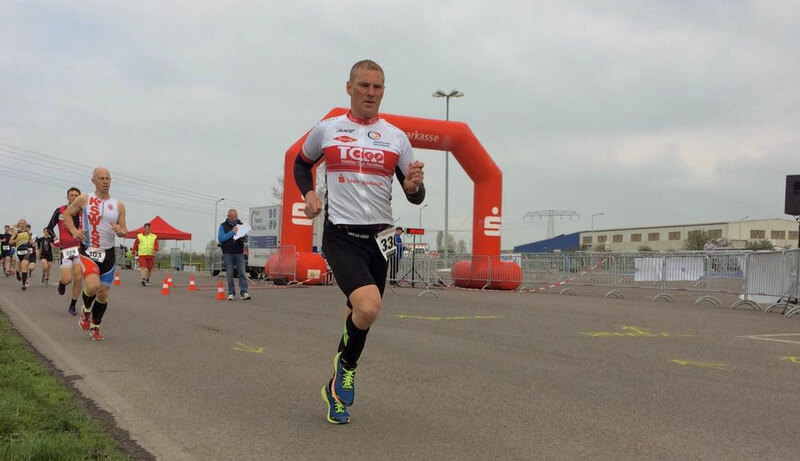 Gourmet chef from Merseburg (Saxony-Anhalt) Steffen Warias wanted to do a brick session at the weekend and therefore he raced the local Duathlon in Halle. 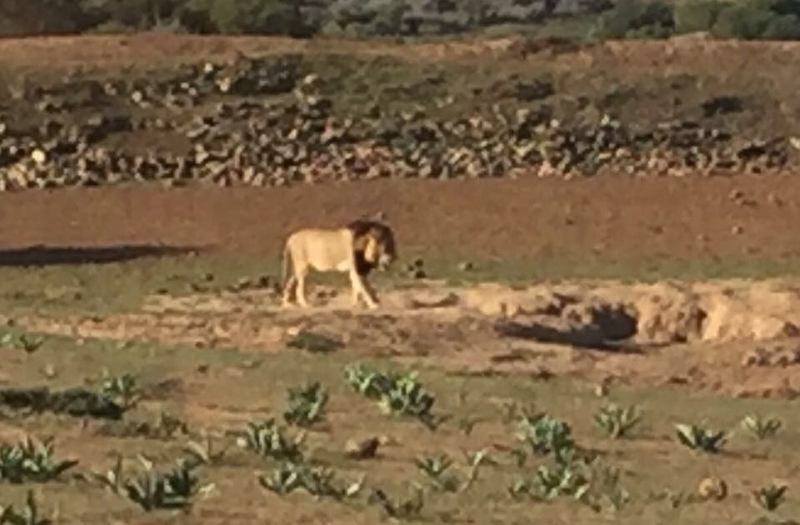 After a few weeks of no running we were not sure how fast he can run and cycle and didn’t expect anything special. But surprisingly he was doing really great. The first 5kms of running were easily und 20mins and then he cycled really well and with the final 2,5kms run Steffen won his Age Group. Really great start into the season. Last year one of my athletes Sandra Schöni was running the Freiburg half-marathon, when a guy ran into her heel which caused a partial rupture of her plantar fascia, a serious injury which forced Sandra to many weeks of no running at all. To forget this trauma I decided to send her to the same race again this year. I wanted Sandra to walk out of this race with a good feeling and a bright view on the new season. That’s exactly what we reached. When she passed the sport where the accident occured last year, it was abig relief and she finished her race with a big smile. 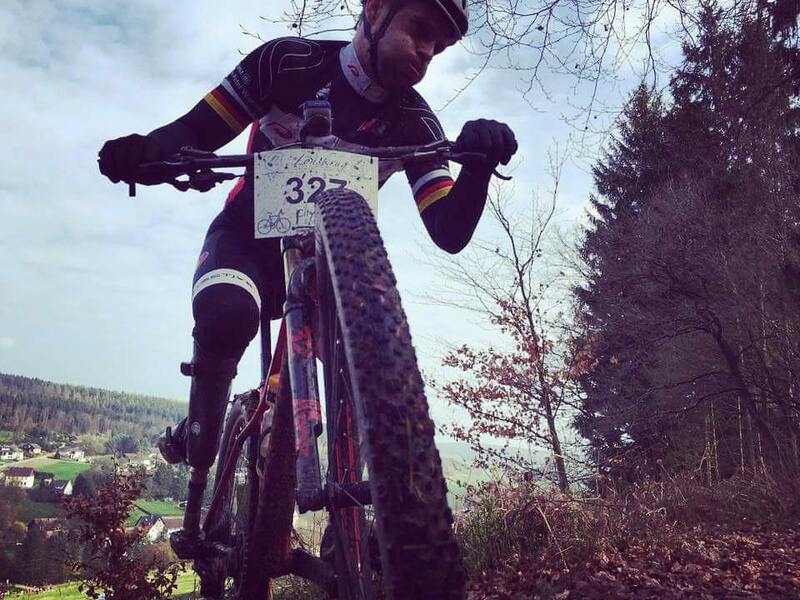 German national Champ and para-cyclist Thomas Schäfer raced his first MTB-Marathon of the new season. While there is still a lack of race specific intensity he showed a great performance. Although there was a mis-guidance of 7mins Thomas claimed a great 3rd place in his Age Group. Well done too all athletes racing this weekend. Looking forward to a great season!